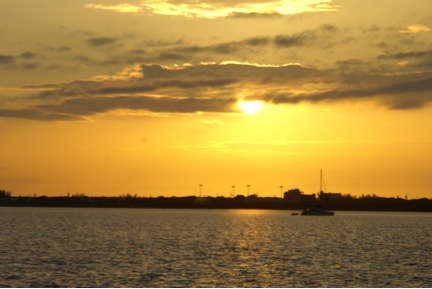 Blue Waters Marina is only 67 miles south of Miami in the beautiful Florida Keys. Already in the keys? 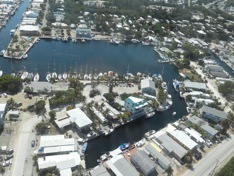 Blue Waters Marina is just 50 miles north of Marathon and 93 miles north of Key West. The channel depths coming in vary from 4.5 feet to 7 feet of water due to tidal ranges. Be sure to check tide table to ensure clearance of your boat’s draft. From the red #2 light at Tavernier Key (N25 degrees 00.20, W80 degrees. 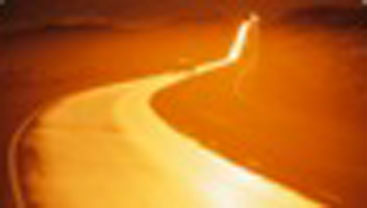 98) proceed straight west 270 degrees) to the red #4 light. Bear right on a course of 040 degrees to our entrance canal at N25 degrees 00.75, W80 degrees 30.30. When the red and green channel markers line up, bear to the left and enter the channel. The channel leads into a canal. The canal is narrow, and as you near the end of the canal, a large turning basin will appear to your left. As you first turn left into the Basin, Curtis Marina is on your right. Blue Waters Marina is just beyond and on the right. The slips are located on the northwest corner of this twenty-foot deep basin. Leaving the airport, follow the signs to 836W. From 836W, go south on the Florida Turnpike. At the end of the turnpike, you are now on Highway 1. Continue on Highway 1 to “welcome to Tavernier” sign. You will then see a sign for “Harry Harris Park” and “Burton Drive”. Go three blocks and turn right on Banyan Lane. Banyan Lane dead-ends at Blue Waters Marina. For more information please contact Jerry at (305) 853-5604 or jerry@bluewatersmarina.com.